Party on intrepid karnival-goers! 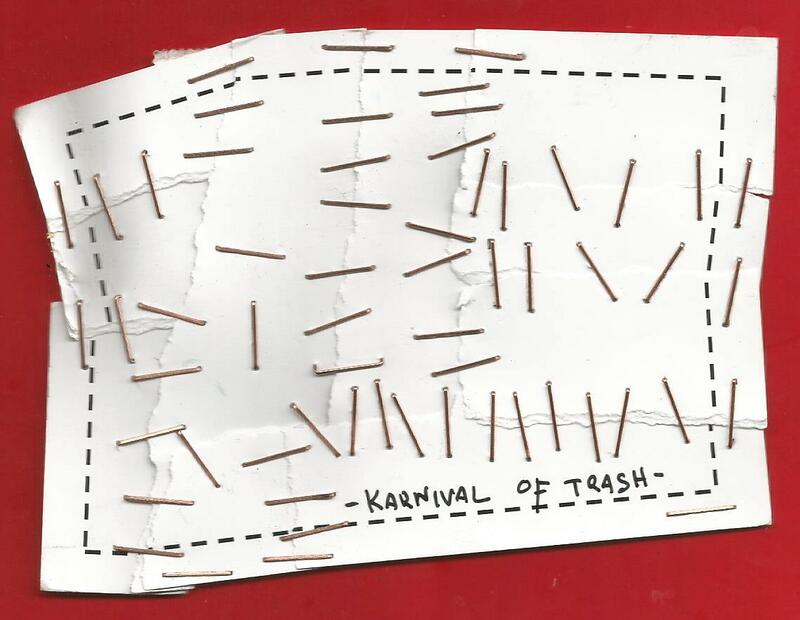 The Karnival of Trash will continue (with some interruptions) into the Summer of 2017. Important work remains to be documented before the greatest show on earth officially closes. Ferran Destemple is a talented and thoughtful visual poet. I am thrilled that he would turn his considerable abilities to an exploration of Trashpo (which is, after all, a form of vispo). 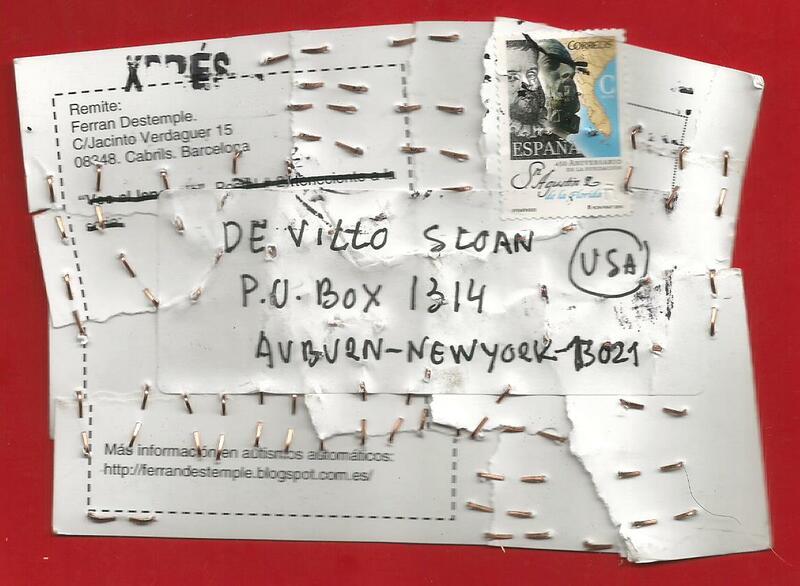 The stapled fragments give the work a Frankentrash, sewn quality. We are in the realm of anti-art. Even if not intentional, this is a piece that functions as well on the tactile level as it does on the visual. Exploring its contours with the fingers is an interesting, sometimes disarming experience. Thus we have a rare, but not unprecedented, example of Haptic Trashpo. Moan Lisa (Iowa, USA) has also pioneered the use of staples in Trashpo. Here we have another fine example. Deepest thanks to Ferran Destemple for this outstanding contribution to the KoT!